In aiming to improve the health of Mississippians, MSPHI is dedicated to developing partnerships that are committed to program innovation, the increase of health resources, education, health awareness, and applied research and policy. 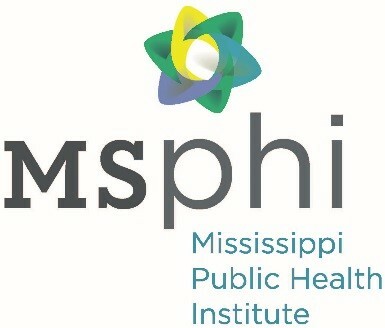 MSPHI promotes public health through projects in policy evaluation, community health, data analysis, and health access. MSPHI staff and contractors have expertise in public health services, environmental health, nutrition, education, social services, and health information technology. MSPHI works with programs that find inventive ways to solve health issues and promote healthy and active living in Mississippi. Get in touch with the Mississippi Public Health Institute. Learn more about how Mississippi Public Health Institute worked with a primary care clinic, the health department, community health center, faith-based organizations, and the communities to improve clinic-community engagement. Learn more about Mississippi Public Health Institute’s challenges, lessons learned, and plans to address access-to-care issues as part of its public health accreditation process. See how Mississippi Public Health Institute, Mississippi State Department of Health, and the Mississippi Primary Healthcare Association partnered to ensure use of the Community Guide in Community Health Improvement Planning.